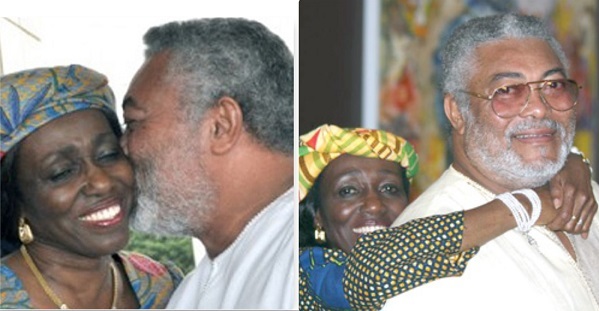 Former first lady Nana Konadu Agyemang Rawlings has revealed that it took an ample of time for her to get attracted to her lovely husband, former president Rawlings. She emphasized that the amorous love between the two of them was not immediately, but rather have to work together developing the love and the close bond they share for over 40 years. Speaking in an interview with Peace Hyde as part of the Forbes Woman African series under theme, Against Odds, added that former president Rawlings learnt to grow on her in their forty year old marriage. Sharing her taught as a former first lady, Nana Konadu Agyemang Rawlings noted the beginning was never rosary as it was the period the country was going through economic difficulties. As first lady, unfortunately, I was thrown into the position when Ghana was really on its knees. No money, no roads. I didn’t come into the position when things were comfortable”.